Four legends: Kris Kristofferson, Gordon Lightfoot, Ronnie Hawkins and Willie Nelson. Need I say more? This wonderful video was released in August 5, 2016; it is available only at iTunes, and only as a video. I have never used iTunes (I download from Amazon or Google), and I don't have iTunes on my PC. After 3 weeks of wondering, and watching the video trailer which has only Kris and Ronnie, I decided to take the plunge. Thankfully, I have an iPad, which I use only for testing websites. It took me only about an hour to figure out how to buy this thing and then play it. Obviously, iTunes is easy for everybody else, but not for me. 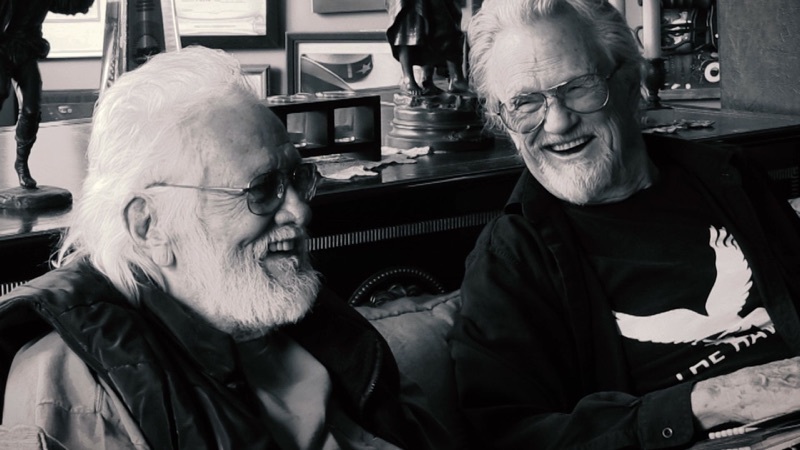 Hawkins, Kristofferson and Lightfoot laid down their vocal tracks at Hawkins' home, surrounded by close friends who joined in the final chorus; Nelson was recorded later in his tour bus. The result was music history. Lightfoot's version of "Me and Bobby McGee" is on his first Warner Brothers album, If You Could Read My Mind. It was always one of my favorite tracks on that amazing album. As I said at the start, this is only available on iTunes. I was hoping it would be released in other environments, for example as a download from Amazon, but that hasn't happened, so I decided to just let you all know that it is on iTunes. For those of you who - like me - are not iTunes users, it just might be worth the trouble!